The price of entry into the world of Mercedes-AMG just became a little less expensive, and no, we’re not talking about buying badges for your old C180d from eBay. 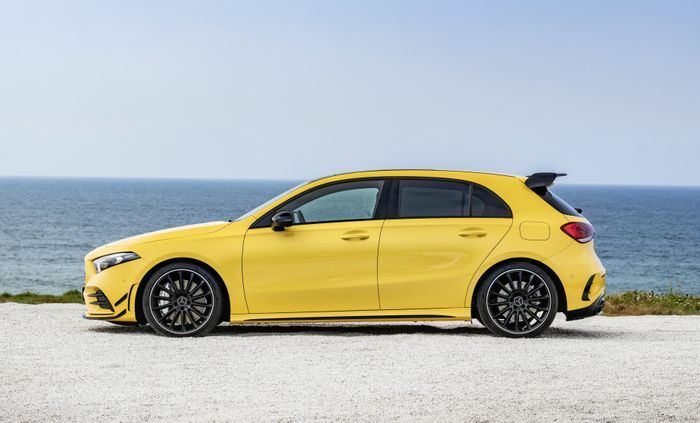 We’re referring to the new AMG A35, for which Mercedes has just revealed pricing: you’re looking at an on-the-road cost of £35,580 in the UK (€47,529 in Germany), which is £225 less than the Audi S3 Sportback, and just over £1200 more than a five-door VW Golf R. While not a direct rival, we also feel compelled to note it’s just a smidge cheaper than the Cupra Ateca we reviewed this week. 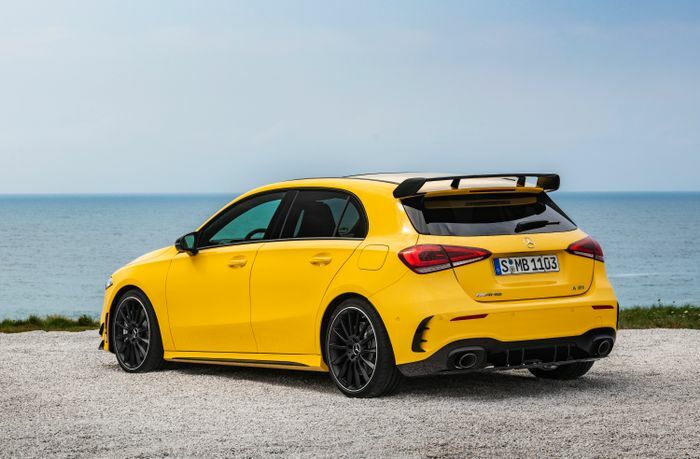 For a shade under £36k, you’re getting a 306bhp 2.0-litre engine that makes 0-62mph possible in 4.7 seconds, A35-specific sports suspension, Mercedes’ fancy MBUX infotainment system, lane keeping assistance, a reversing camera, keyless go and two-zone climate control. Predictably, it won’t be hard to inflate that attention-grabbing starting price over the £40k mark. For instance, there’s the £1395 AMG Executive pack that swaps the standard media display for a 10.25-inch version while adding things like leather upholstery and Active Parking Assist, while the £2395 AMG Premium line has all of the above plus ambient lighting and a posher sound system. The £3895 AMG Premium Plus pack adds pretty much everything you could ever want including Burmester audio and electrically-adjustable seats, but in typical German posh car fashion, the options don’t end there. There’s a Driving Assistance package available for £1695, the AMG Advanced Navigation package for £1295 (this includes the cool augmented reality sat-nav), a £495 Advanced Connectivity pack, and finally, if you want the big rear wing and other aero bits seen on the car in the original reveal photos, you’ll have to part with £2595 and tick the ‘AMG Aerodynamics’ box. 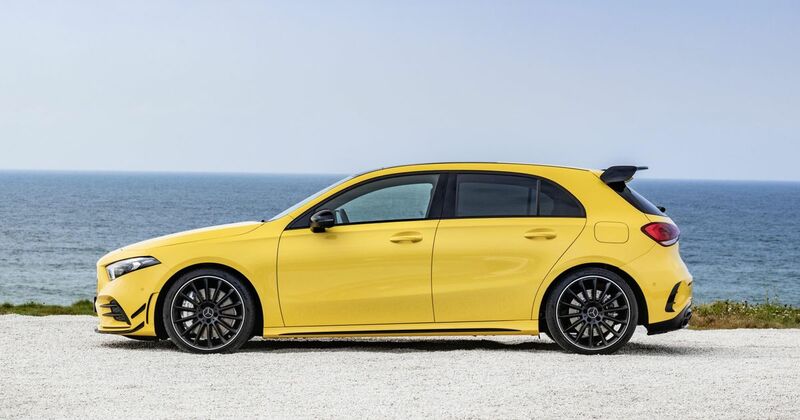 The AMG A35 is available to order now, and the first cars will arrive with their owners in Spring 2019.